Delve into this funny, addictive and colorful fruity adventure! 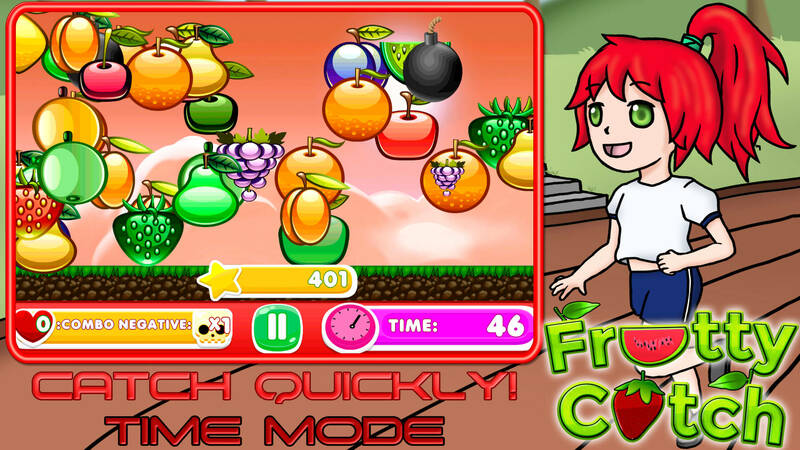 Help Kenji, Amy and their friends to catch all the possible fruits in 4 addictive game modes! Try out the Casual Mode. Try to reach the score objective to win the level, but check out your stamina bar and your time, if any of those reach zero, it’s game over. Catch as much fruits as you can, and don’t let them fall, because this will cost you stamina. Catch as much fruits as possible in 60 seconds in Time Mode using the touch function of your device. Easy, right? But remember to avoid touching bombs or green fruits, these will make you lose points and will sum to your negative counter. In Fruit Simphony you have to help Ayane to create the perfect song with rhythm and harmony. Watch the sequence carefully and then repeat it by touching the musical fruit notes; each consecutive sequence gives more points, but it gets harder and harder, as each sequence has an additional fruit note added to it. Toshiro is a boy who loves technology and programming; he created the game mode Floating Fruit. Move your balloon using the virtual joystick located on the bottom part of the screen. Avoid arrows and try to survive as much as you can. 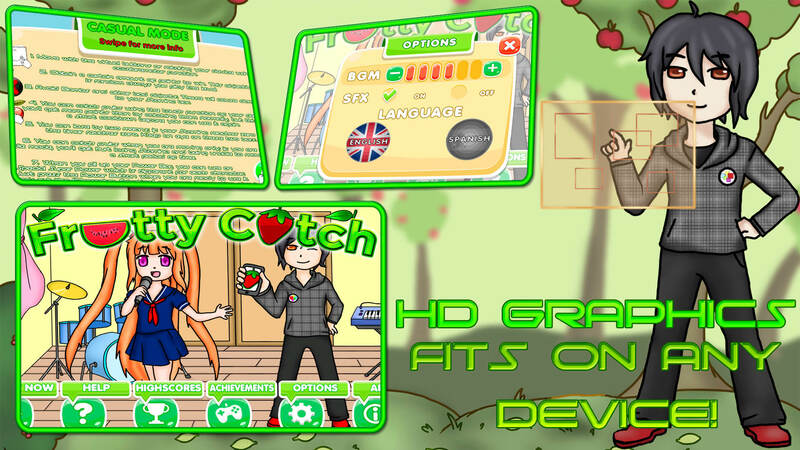 Unlock incredible achievements, enjoy an incredible experience with HD graphics ideal for any kind of device. Hours and hours of non-stop funny moments in 4 impressive game modes! Two different characters in the Casual Mode (more coming), each one with their unique advantages and an unique special super power. Will you be able to help Kenji, Amy and their friends? 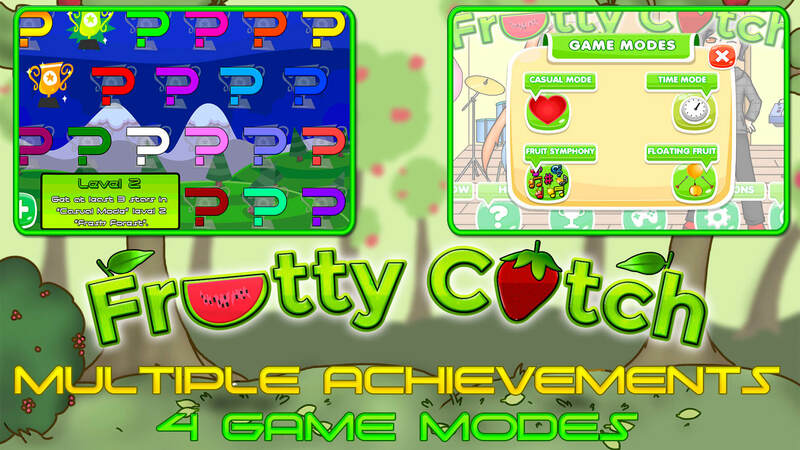 Find it out in Frutty Catch, a new fruity experience! 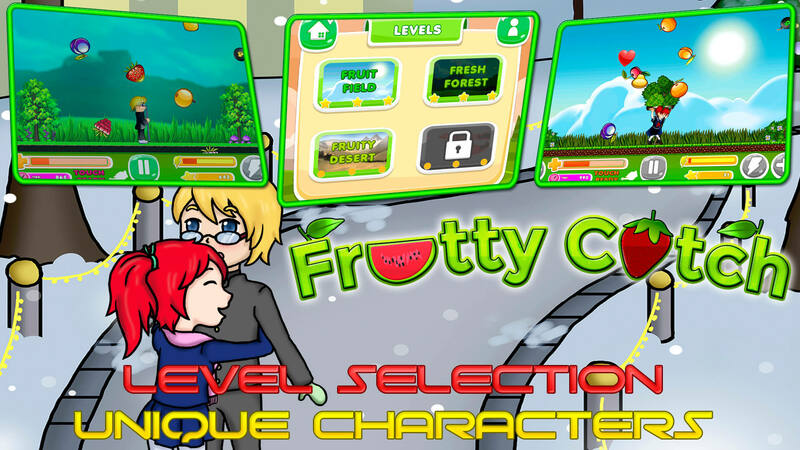 Multiple levels in "Casual Mode"
Enjoy a new fruity experience!